Addis Pablo – son of the late and great producer and melodica virtuoso Augustus Pablo – dropped his debut album today. It’s titled In My Father’s House. The title suggest that he treads the same road as his father. And well, he does. At least partly. He plays blows his melodica with the same grace and easiness as his father, but his debut album is less twisted than some of his father’s work. In My Father’s House is peaceful and has a very natural feel to it. Addis Pablo has during his short career dropped a number of strong singles and wicked cuts on one riddim compilations. Last year he teamed up with Dutch label JahSolidRock, probably best known for their superb albums from Apple Gabriel, Earl Sixteen, Brinsley Forde and Chezidek. And In My Father’s House is yet another superb and absolutely essential release from this reggae powerhouse and producer Marc Baronner from Bass Galore Productions, formerly known as Not Easy At All. Its 17 tracks takes the listener on a meditative, haunting and melodic roots reggae journey. It’s roughly divided into one melodica cut, followed by a vocal version from Earl Sixteen, Chezidek, Sylford Walker and Exile di Brave aka Jah Exile. On top of that a slice of heavy percussion laid dub. Addis Pablo followed his father and became a world-renowned musician, but at the same time he created his own sound on the very consistent In My Father’s House. The album is now available on CD and digital download. A double LP drops on March 4. 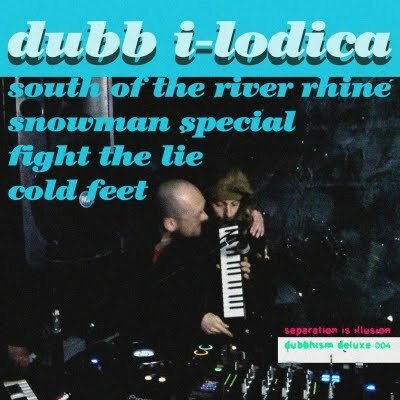 Brighton’s own Augustus Pablo I-lodica has just put out an EP titled Separation is Illusion on the Dubbhism label. The EP contains five tracks, where of Melodica on Fiya – a relick of Lee Perry’s 70’s classic Soul Fire – is available as free download on Soundcloud. I-lodica has been recording for many years and has made some heavy tunes with various producers, including Iration Steppas and Alpha & Omega. On this new effort he has teamed up with Dutch producer Tony Dubshot. The result is some upbeat, skanking tunes. Separation is Illusion is available today from etailers worldwide.